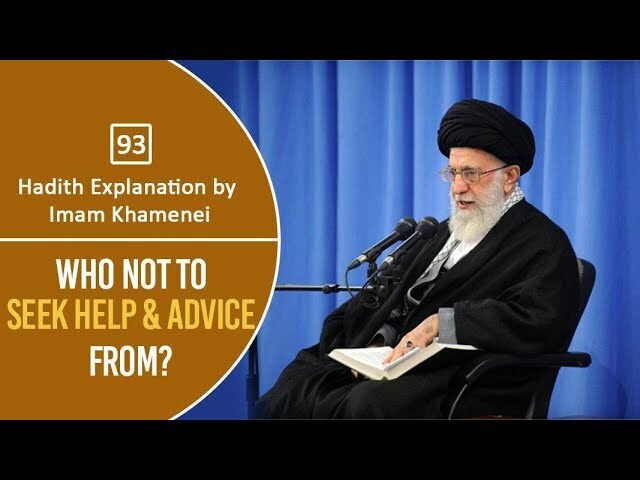 Hadith Explanation by Imam Khamenei | Who Not To Seek Help & Advice From? We seek help from many people in our everyday lives. It is also recommended to seek advice from others. But have you ever wondered who you should seek advice from? Are there any divine instructions provided to us by the Ahl al-Bayt (A)? Ayatollah Khamenei explains this in the light of a hadith of Imam Jafar Sadiq (A).